We are Lars and Bart and we’ll cut right to the chase. We are Chokay. Com-ple-te-ly Chokay and satisfied. That’s good for you, you’ll say, but what’s in it for me? Well… Nothing if you don’t like chocolate. In that case we are not made for each other. We wish you a very nice chocolateless life. Okay, so now it’s only chocolate lovers amongst each other. And wé know that a life without chocolate is a poor life. A life without that slowly melting bittersweet sensation that overwhelms you every time, leaves you with closed eyes and a sigh of pleasure. We won’t beat around the bush. We are crazy about chocolate and together we turn our Chokay dream into reality. Belgian quality chocolate of sustainable cocoa, natural ingredients and without added sugars. We knew it right from the start. 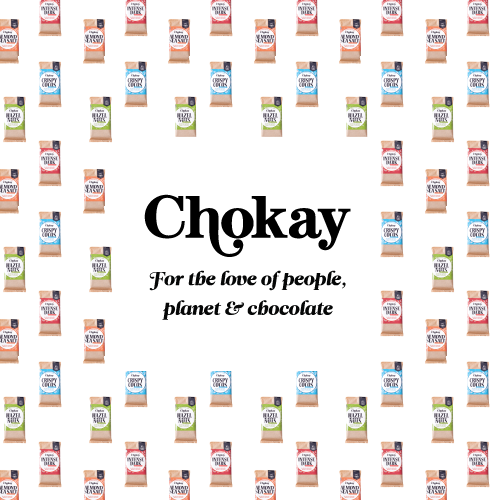 Chokay should be the name for our chocolate. Just because it expresses what we want to say, because the chocolate tastes exactly like we think it should. Without adding sugar. Made of sustainable cocoa and natural ingredients. Therefore completely OKAY. We worked on the packaging, pictures and this website with friends. Professionals but first of all friends and friends of friends. We don’t know thát many people! That’s the heart of the brand Chokay. Our faith and effort combined with the input of people that are, like us, open to an adventure. Because Chokay is really good news. Not world news but just old-fashioned, good news that makes you smile. That’s Chokay. A brand and product that makes you happy. 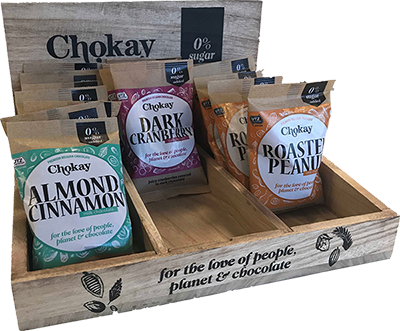 Delicious, consciously without added sugar, with sweeteners from a natural source and respectful to planters, pickers, packers and all others who make Chokay all together very OKAY. The word ‘company’ makes us feel a bit awkward. 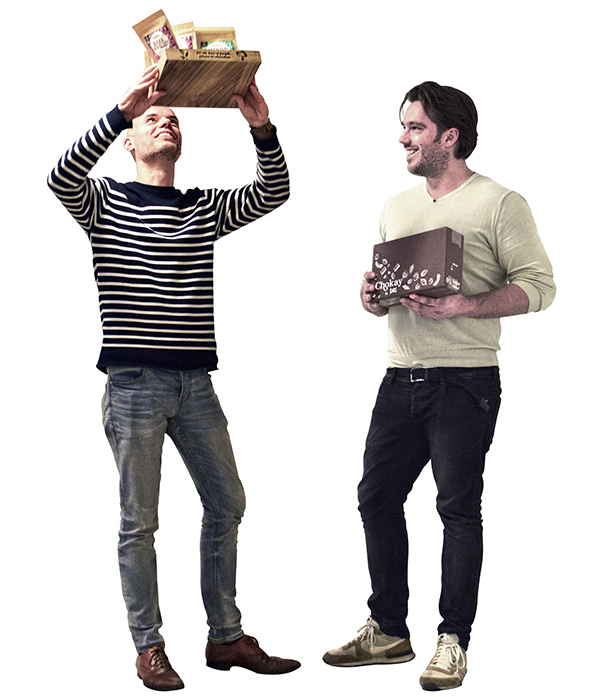 First and foremost we want to make masterly tasty chocolate without added sugar. But when we succeed it does become a real company, according to the rules. Just take our word for it, above all we are living our dream! That doesn’t feel like working at all, and that’s why we don’t see ourselves as a company. Maybe ‘club’ is a better name for what we are. A club that doesn’t search for clients but for co-lovers, friends, fans, supporters, believers. Call it like you want, but join us if you are as much a gourmand like we are. We have Chokay chocolate in different special flavours and people should decide themselves if they want to taste them or not! If that’s called a ‘company’, so be it.